If you have been arrested for shoplifting or theft in Burbank, there may be effective options for your case. While some cases may be eligible for City Attorney Diversion, new laws now dramatically expand the opportunity for creative solutions, with the addition of judicial diversion. Diversion is available on a case-by-case basis, & should be quickly requested by your attorney, since it may allow an opportunity for an earned dismissal. George Kita has helped clients with grand & petty theft, shoplifting, burglary, as well as employee theft cases, & many of them have benefitted from his creative solutions, receiving dismissals of their charges. Call now, to learn your options, at 818-536-3630! You can read about new changes in theft laws at: New Theft Law. Theft cases include petty/grand theft, shoplifting, burglary, robbery, fraud, forgery, insufficient funds, receiving stolen property, & embezzlement. Penal Code section 490.2, Petty Theft (misdemeanor) involves theft of money, labor, real or personal property valued at $950 or less. Penal Code section 459a, Shoplifting, a misdemeanor, relates to “burglary” conduct, requiring entry into an open business, during regular business hours, with intent to steal property valued at $950 or less. Theft cases above the $950 amount generally result in a grand theft charge. A grand theft crime can be charged as either a misdemeanor or a felony, depending on the value of the loss, as well as other circumstances surrounding your case. Early intervention may steer a case towards a less serious direction. 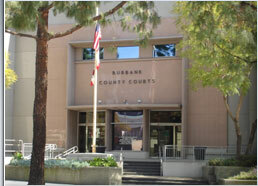 In Burbank, a conviction can result in jail, community labor, fines, programs, and probation. It is very important that you obtain legal representation, quickly, as you can see in our video at: Theft Attorney. Burbank Theft Attorney George Kita can provide you with superior representation for your case. Call him, today, for a free consultation. Have you been accused of a shoplifting or theft crime in Burbank? Call now, at 818-536-3630!